At AmeriGlide, we are constantly striving to provide our customers with the lowest possible prices on mobility and accessibility equipment. Those who need a mobility scooter for daily use shouldn’t have to pay inflated prices for a necessity. That is why we are proud to offer versatile, portable, and affordable mobility scooters that are available at the absolute lowest prices on the market. 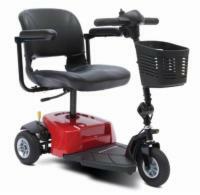 Call our scooter experts today to get on the road to better mobility! Save money and get all the mobility tools you need at once when you take advantage of this unbeatable package deal. 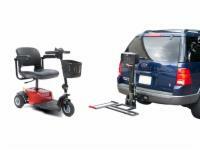 Purchase the AmeriGlide Traveler Companion Vehicle Lift / Scooter Lift Package today and instantly increase your freedom and mobility for an incredible value!